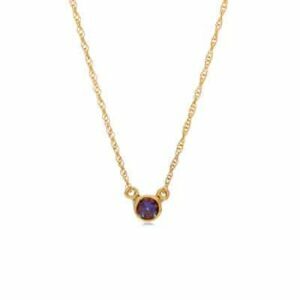 September birthstone necklace set with london blue topaz is the perfect gift for any September baby! Handcrafted with genuine london blue topaz and sterling silver/14K gold-fill. 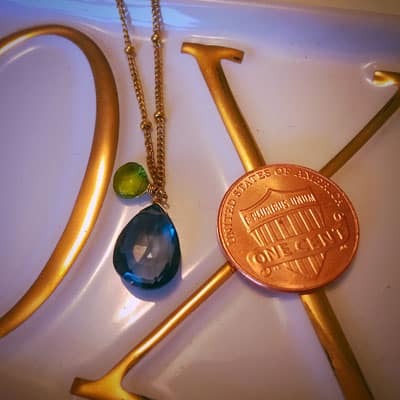 A favorite amongst Erin Gallagher fans, this stunning pear-shaped london blue topaz birthstone necklace sparkles with a rich intensity that will garner many compliments and questions as to just where she got such a lovely piece. 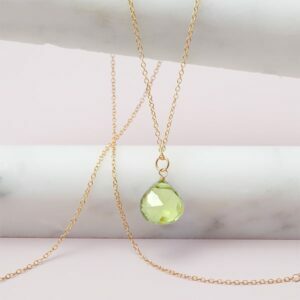 The perfect September birthstone necklace for your favorite September baby. 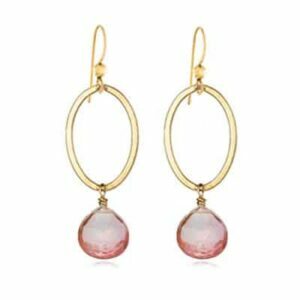 Handcrafted in Colorado from reclaimed metals and conflict-free stones, it’s jewelry designed for glamour girls with a conscience.